Muranaka Farm has established its exceptional track record of success by providing an uninterrupted supply of our specialty products. 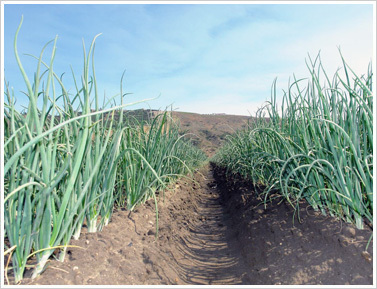 We're the largest shipper of bunched green onions in the country, and currently offer 12 types of vegetables in all. How has Muranaka Farm achieved and maintained such outstanding relationships? By being large enough to ensure high quality and reliability, while agile enough to meet your specific needs. We've developed proven growing, handling and shipping processes. In addition, we've kept food safety as a top priority. Dedicated to outstanding service, we have the resources to deliver on your requirements. Muranaka Farm has implemented all the necessary production techniques that are necessary to produce a quality food product for the American market. Their operation from seed to package is streamline and efficient.